Web Management Consultants are now offering Ebay Store websites with Ebay Facebook Apps linked to your ebay store/stock listings. 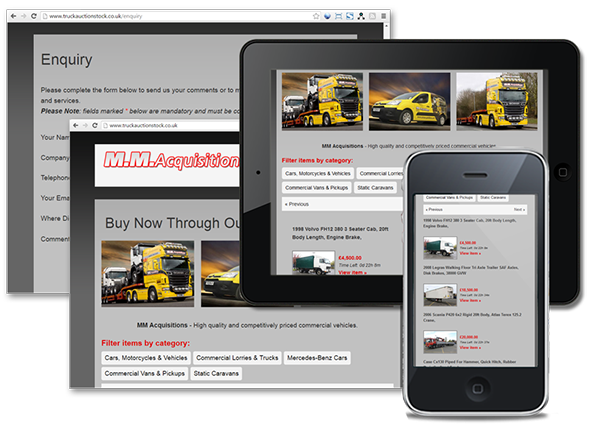 Click the screenshots below to visit MM Acquisition's website at www.truckauctionstock.co.uk. Get a Free Quote from WMC Now!